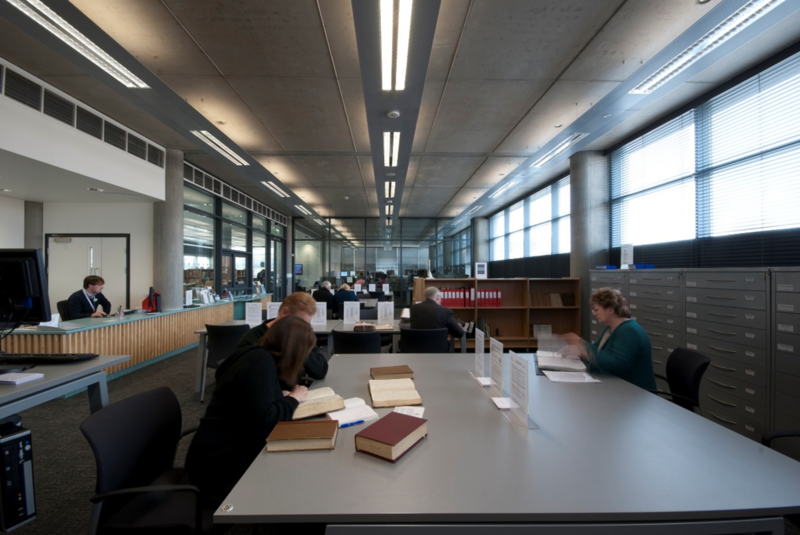 Home to Hull University Archives, Hull City Archives and Hull Local Studies Library, the Hull History Centre is a fantastic research facility in the heart of Hull. Free to all, including University of Hull students and staff, the Centre provides access to 1000s of archival collections which cover a huge range of subjects and themes. If you wish to contact the Centre us you can do so by using the email address hullhistorycentre@hcandl.co.uk. You can also speak to a member of Hull History Centre staff who will be able to advise you on any archival research questions by phoning 01482 317500. 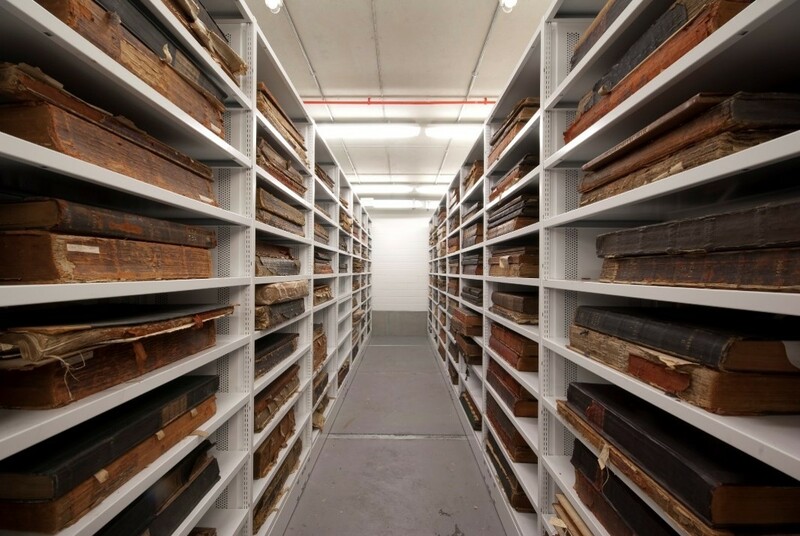 Hull University Archives (HUA), formerly located within the BJL, was moved to the History Centre in 2010 where collections could be cared for in a state-of-the-art archives building with much better public access. Our unique collections are here to aid students and academics in the production of world class research. HUA holds the University of Hull's own records, which document the history of the university, its students and staff. 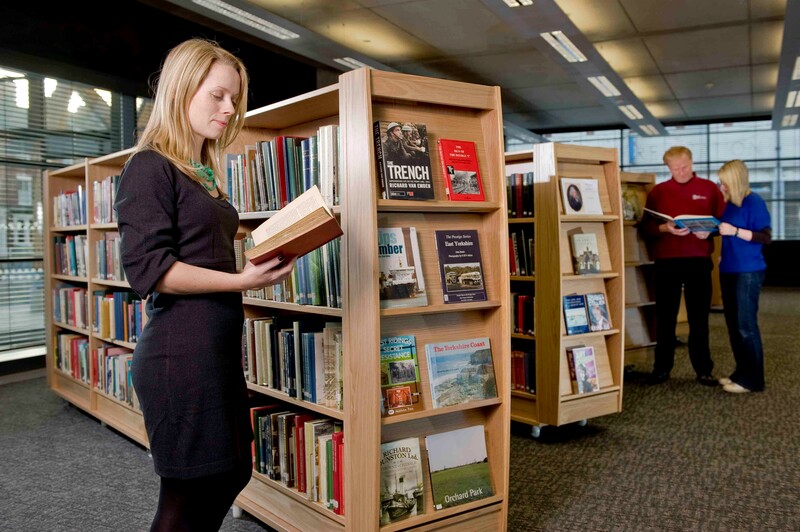 We also hold collections to support research in the areas of landed families and estates, politics and pressure groups, literary themes and writers, and business and commerce. These holdings are supplemented by material from the City Archives and Local Studies collections, documenting all aspects of the history of Hull. This includes Hull's maritime heritage, the administrative activities of the council and its predecessors, crime and punishment, society and civic life, the impact of 20th century warfare on the city and its people, the geographical and architectural development of the city, and much more. For further information about our holdings you can access the History Centre's online catalogue and visit the 'Research Guides' pages of the website. Located on Worship Street, behind the New Theatre and opposite the old Central Fire Station, the Centre is just a 10 minute walk from Paragon Interchange. From campus it is easy to get to the Centre as there are a number of buses that will take you into the Interchange (5, 103, 105, or 115). Further directions can be found on the 'Our Location' pages of the website. The Centre is open Tuesday to Friday (9:30-5:30) and is also open every 1st and 3rd Saturday of the month (9:00-4:30). Further information is available on the 'Our Opening Hours' page of the website.